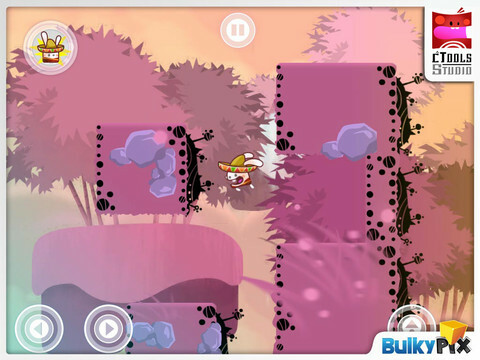 Bulkypix delivers a visually stimulating platformer, but should you hop to it? We'll say this about Kung Fu Rabbit: it's a looker. This newest release from Bulkypix features attractive 2D visuals that showcase Asian-themed dojos and forests overflowing with colors and sweet little details, like sunlight streaking through dense trees and flowers dotting the landscape. If anything, it's good to see a side-scrolling title that doesn't incorporate pixel art, which seems to be all the rage these days. Unfortunately, graphics can only take a game so far, and the reality is that Kung Fu Rabbit is merely OK and hampered by bothersome controls that make navigating a chore. The developers want you to track down carrots strategically placed throughout each level, many of which force you to slide down walls and dangerously close to Universal Evil, a mysterious black gunk that automatically kills the hero, a bunny sensei charged with rescuing its students. To be fair, the controls don't kill the experience, but they don't feel right, either. Making those aforementioned wall slides is an exercise in frustration, as the rabbit constantly falls into the muck, only to reappear at the last checkpoint; prepare for much trial and error. What's more, Kung Fu Rabbit does nothing new. First, there's no martial arts to speak of. You can unlock the ability to jump on enemies' heads, but forget about unleashing a furious round of punches and kicks. Despite the title, it's a fairly standard platformer. Ultimately, that somewhat ruins the game's appeal. It's good, no question, but we struggled to remain interested past an hour, and even that was pushing it. Pretty to look at and moderately enjoyable, but not engrossing enough to hold one's attention for more than a few hours. 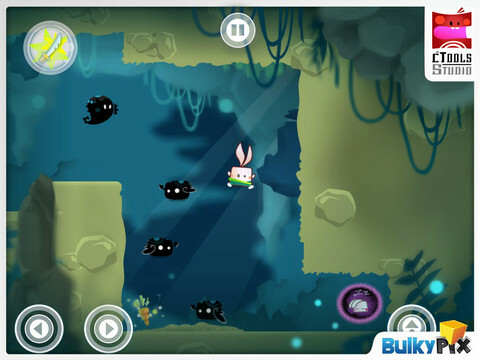 What's Hot: Cute and fuzzy bunnies, solid platforming, pretty visuals, AirPlay compatible. What's Not: Imprecise controls, ho-hum gameplay, a conspicuous absence of kung fu.